Burberry Prorsum Spring/Summer 2012 Shoes. Step forward in time and style with the dazzling Burberry Prorsum Spring/Summer 2012 shoes collection. Explore the latest style vision of Christopher Bailey and show off your best assets in a catwalk couture-inspired ensemble. Don't get stuck in a style rut and look forward to have all the 'it' clothing items for the upcoming season. Burberry is your best pal when it comes to utilitarian chic and flirty outfits. Christopher Bailey is one of the visionary designers keen on winning the heart of the fashion armada with innovative and creative collections. Accessories deserve the same attention as basic outfit elements. Versatility should be your ultimate style mantra as illustrated in the Burberry Prorsum Spring/Summer 2012 shoes. 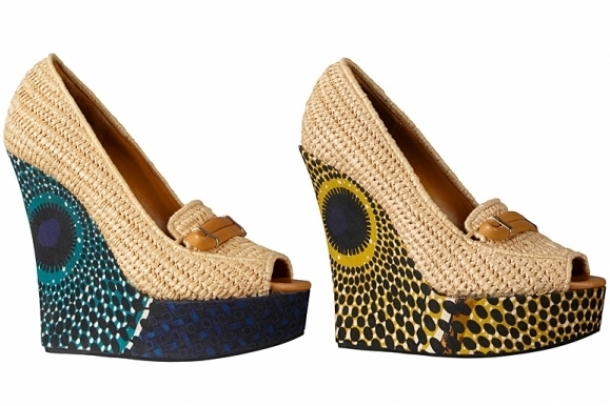 Enjoy the eye-catching color palette teamed up with fabulous woven raffia and wooden beads. These ultra-refined elements will give a summerish and at the same time high street feel to the complete the footwear parade. 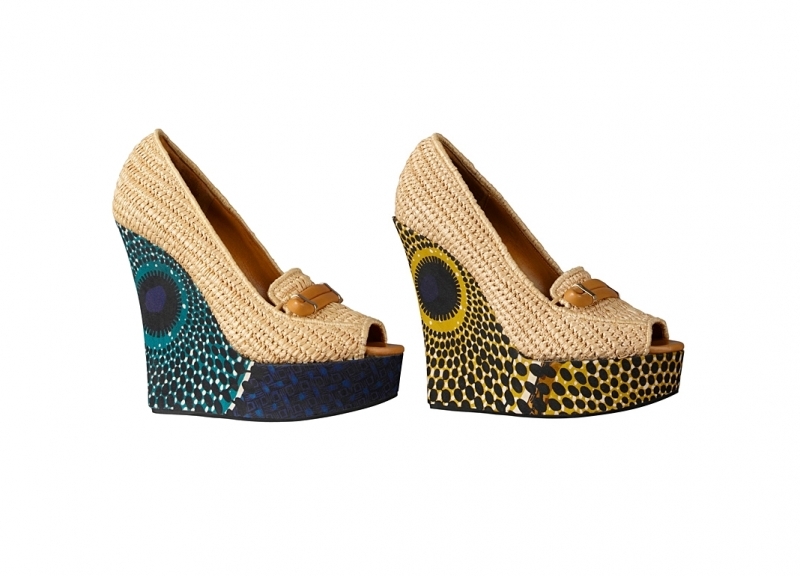 Multi-colored ensembles will be perfectly complemented with statement accessories as these visionary shoes. Handcrafted and woven raffia details guarantee the popularity of this capsule. Burberry Prorsum is undoubtedly synonymous with Brit chic and urbane glamor. Take a closer look at the tiniest details that make these apparel ideas so unique and exquisite. Pamper your feet with wedge sandals armed up with colorful beads and ankle straps. There's no need to torture yourself with killer heels when you have a practical and at the same time ultra-voguish accessorizing alternative to rock a comfy and faddish outfit. Scan all the amazing platform sandals and wedge peep toe boots that attract immediate attention. 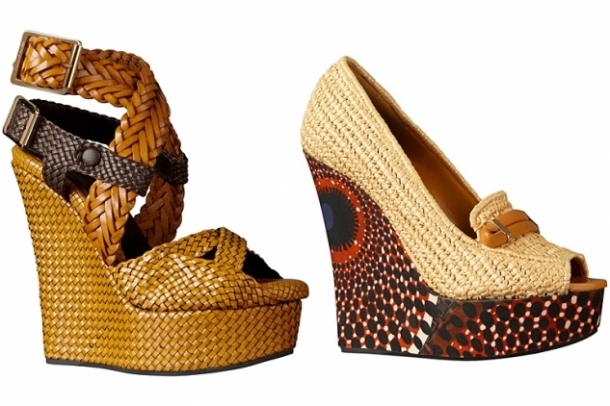 Add length to your silhouette with these crochet and woven wedge sandals. Christopher Bailey breaks with the tradition of neon and bright hues used in the majority of runway collections designed for the hot months. In his case the color palette includes shades like turmeric, chrome yellow, orange ocre, chocolate and sapphire blue.